Cross Lane Projects in Kendal opens two exhibitions this week with a consciously international list of artists in the run-up to Brexit*. Flugblätter and Miniscule 2 features artists from across the globe to create a wide-ranging show questioning aspects of modern society. 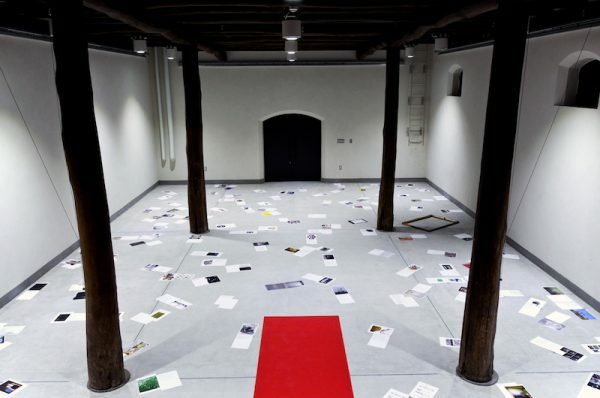 Flugblätter, which translates as ‘flyers’ or ‘flying letters’, sees 130 artists share their artistic responses to globalisation in an innovative and thought-provoking exhibition. To create the show, artist Birgit Jensen approached artists she knew from around the world, inviting them to contribute an image and accompanying text by email. Each contribution reflects a different perspective on the transformations of our society in recent years – whether philosophical, social, political, economical or ecological – including reflections on the changes the artists have experienced locally in the 41 different countries in which they live. Jensen comments, “We live in a time of quick changes. There are increasing tensions between different groups of society. Fragmentation, growing extremism, nationalism, racism and exploitation are only a few of the consequences. Climate change and our egotistical attitude towards nature confront us with unpredictable dangers. In the same time, we witness an immense advance of communication technology and social networking in our personal surroundings. I wanted to find out how artists I know all over the world deal with the transformations around them. Do they affect their thinking, their attitude, does this have an effect on their artistic practice? I got a very wide range of different answers to my questions. I was very surprised. The result reads like an extremely complex and fascinating investigation around art and culture. Art can play many different roles in our society.” The participating artists are working with all kinds of different media, they are male and female, old and young, some of them are in the spotlight of public attention and some are only known to insiders. Miniscule Part 2 is a sequel to the exhibition Miniscule curated and devised by artists Vanya Balogh and Jim Racine, and presented at Oblong Gallery, London in June 2010. After a public launch event on the evening of Friday 22 March, both exhibitions will be open from 12 to 6pm, Wednesday to Saturday through until 18 May 2019. Cross Lane Projects is founded by Cumbria-born artist Rebecca Scott and her husband, sculptor Mark Woods. The pair have established Cross Lane Projects with the aim of bringing new contemporary art and debate to Cumbria, presenting a curated programme of three exhibitions of contemporary art each year, accompanied by public talks and discussion events, featuring the work of local, international and British artists. The project space was voted a finalist in the Cumbria Life Culture Awards 2019. Moussa Séne Absa SN, Bill Allen US, Markus Ambach DE, Ulrike Arnold DE, Liz Bachhuber US, Vanya Balogh HR, Gudrun Barenbrock DE, Rainer Barzen DE, Heinz Baumüller AT, Christine Bernhard DE, Benjamin Bohnsack DE, Frank Bölter DE, Hans Brändli CH, Christoph Bucher CH, Julia Bünnagel DE, Luca Buvoli IT, Christian Deckert DE, Nikola Dicke DE, Arpad Dobriban HU, Susanne Fasbender DE, Frank Fenstermacher DE, Hercules Fisherman IR/GB, Pia Fries CH, Harald Fuchs DE, Shrutti Garg IN, Clemens Botho Goldbach DE, Paul Goodwin GB, Melissa Gordon US, Ted Green US, Ingo Günther DE/US, Jutta Haeckel DE, Wolfgang Hahn DE, Mark Harris GB, Lucy Harvey NZ, Isabelle Hayeur CA, Gabriele Horndasch DE, Bruno Jakob CH, Marcus Jansen DE, Halina Jaworski PL/IL/DE, Otto Jeschke DE, Sigmund de Jong NL, Celina Jure AR, Hüseyin Karakaya TR, Dagmar Keller / Martin Wittwer DE/CH, Nak Beom Kho KR, Roman Klonek PL/DE, Michael Kortländer DE, Evangelos Koukouwitakis GR, Gereon Krebber DE, Kirsten Krüger DE, Florian Kuhlmann DE, Stefan Kürten DE, Ton van der Laaken NL, Benje LaRico US, Jon Erlend Larsen NO, Denise Lasagni CH/FR, Silke Leverkühne DE, Nataly Maier DE/IT, Zhenia Couso Martell CU, Kaoli Mashio JP, Keisuke Matsuura JP, Christian Megert CH, Aron Mehzion ER, Peter Mell DE, Carmengloria Morales CL, Nicole Morello FR, Benjamin Nachtwey DE, Peter Nagel DE, Hanne Nagel-Axelsen DK, Holger Nickisch DE/NL, Michalis Nicolaides CY, Walter Nikkels NL, Hannes Norberg DE, Anita Oettershagen DE, Kenzo Onoda JP, Driss Ouadahi DZ, Marleen Oud NL, Heike Pallanca DE, Mark Patsfall US, Mark Pepper / Beza Alemu-Pepper DE/ET, Roxane Permar US, Wolfgang Pilz DE, Udo Rathke DE, Hamdi Reda EG, Kai Rheineck DE, Melanie Richter DE, Patrick Rieve DE, Alexander Roob DE, Ingrid Roscheck DE, Valentin Rothmaler DE, Glen Rubsamen US, Stefan Saffer DE, Mia Saharla FI, Leunora Salihu XK, Jochen Saueracker DE, Thyra Schmidt DE, Lars Ulrich Schnackenberg DE, Hansjörg Schneider DE, Nicola Schrudde DE, Max Schulze DE, Helmut Schweizer DE, Rebecca Scott GB, Michael Seeling DE, Marcus Sendlinger DE, Sean Shanahan IE, Thomas Stricker CH, Yuji Takeoka JP, Teresiña Talarico CL/DE, David Thomas AU, Patrick Thomas GB, Barthélémy Toguo CM, Barbara Camilla Tucholski DE, Sunok U KR, Natascha Ulianova RU, Jarno Vesala FI, Haichuan Wang CN, Deborah Wargon AU, Etsuko Watanabe JP, Shirley Wegner IL, Stefan à Wengen CH, Barbara Westermann US, Suse Wiegand DE, Christopher Winter GB, Mark Woods GB, Christoph Worringer DE, Mounia Youssef LB/TG, Miro Zahra CZ/DE, Uta Zaumseil DE, Tu Zeng CN. 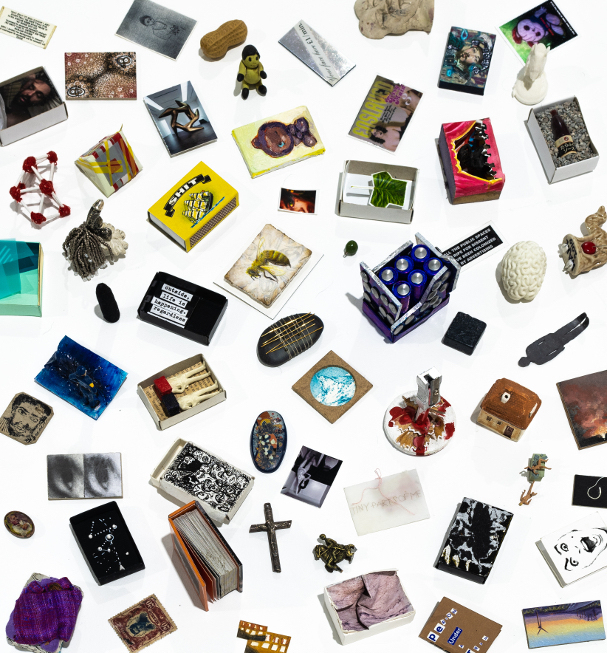 Nancy Fouts, Emanuel Fanslau, Gzillion Artist, Peter Suchin, Edward Croft-Balogh, Steve Smith, Ian Thompson, Martha Mai McCormick, Clive Burton, India Roper-Evans, Ann Grim, Alice Naylor, Cathy de Monchaux, Gavin Turk, Ray Gange, Michelangelo Arteaga, Rebecca Meanley, Cedric Christie, Paul Gildea, Danny Pockets, Catherine Lorimer, Nina Coulson, Andrea Morucchio, Leila Houston, Alan Ardiff, Carole Pearson, Julian Cooper, Charlie Whinney, Martin Greenland, Kate Davis & David Moore, Ben Hopper, Paul Tucker, Paul Sakoilsky.